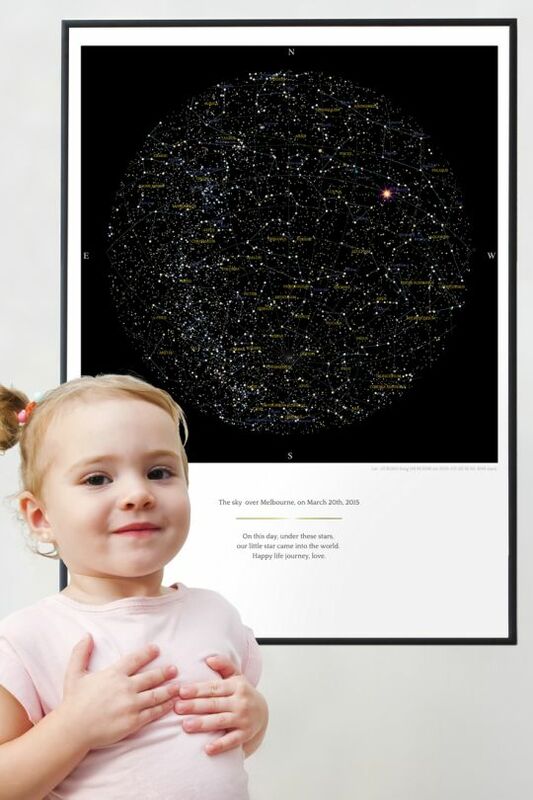 GreaterSkies make beautiful, unique, sky maps showing all the stars and planets above your baby's birthplace at the moment they entered the world. 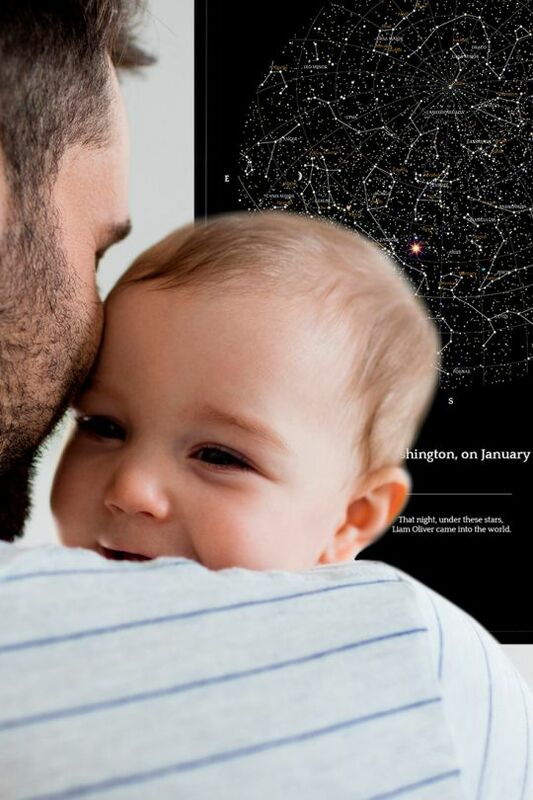 Both stylish and meaningful, these maps are a perfect gift for newborns and birthdays, celebrating the life-changing moment and recording it for all time. GreaterSkies create photographic quality maps of the sky at any given moment from any given address. 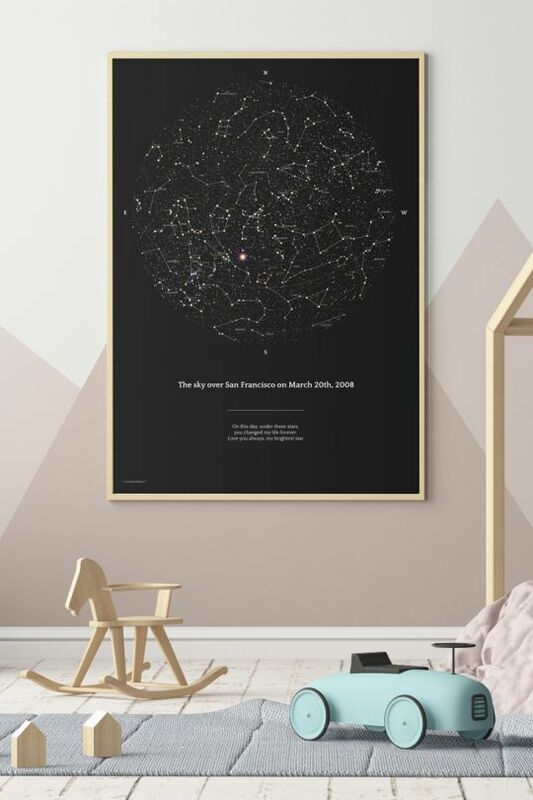 Their prints offer a gorgeous rendition of the stars and the planets as they aligned above your special place, at your special moment. 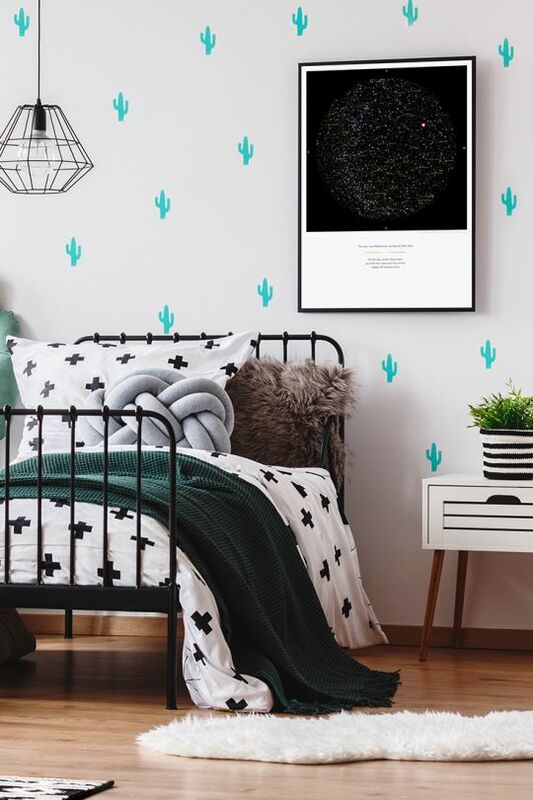 These prints are a stunning addition to any décor. More than just looking good, they are a perfect means to commemorate an important occassion such as the birth of a child, a first kiss, a wedding day, a big birthday, graduation – or anything that is important to you, really! Creating your map is simple. Input your chosen address, date and time. Add a personal caption or message and you are all set! You can choose to receive a print and high resolution file, or opt for just the digital file – from which you can of course easily create your own print. 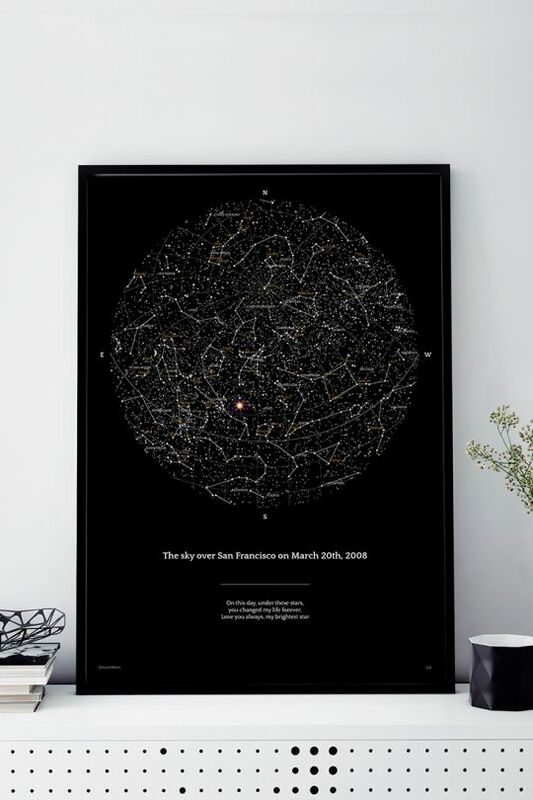 GreaterSkies maps make an original and very personal present – for your own family or a friend. One to remember for the next newborn gift or anniversary!